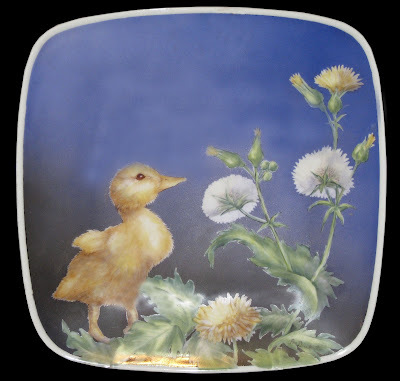 Happy Easter, and here is a duckling and dandilions for you. I masked out the subjects and airbrushed the blue background. Nice effect. This painting is on a 7 inch square plate.